Random.org has selected Jeff S. as the winner of this giveaway! Congratulations Jeff! Everyone else, thanks for entering, and be on the lookout for future contests! I wrote a bit about the D&D Essentials Rules Compendium and I really believe that it is a book that having multiple copies of at the table is not a bad idea, more so if you are a bunch of new players to the game and are constantly referencing the rules. So that’s why we’re giving away a copy of this book, because I feel it’s that useful to have if you are running D&D 4e, and whether you already own it or not, you should really enter this contest and try to snag a free one. Of course, it goes without saying that the fine folks at Gator Games are once again showing the gaming community just how great of a gaming store they are, and you should do your part to support them by at least visiting their site and taking a look around. Go there now and enter coupon code “newbiedm” at checkout for a 20% discount on your orders (all non-sale items only). Guys, I’m counting on you all to keep these giveaways coming, show Gator Games that NewbieDM.com readers are the most appreciative readers out there! Gator Games also offers German games and an expanded selection of RPG’s, card games, miniatures, dice and boardgames. Visit Gator Games’ revamped website today atwww.gatorgames.com. You can also find them on Facebook (Gator Games & Hobby) and Myspace. Oh, and Canadians… you’re eligible to win this, eh. This contest tuns until Saturday, October 23rd and is open to residents of the US and Canada. Now go visit Gator Games, will ya? ← 300. And no, not muscled men with hard abs. Great way to start a gray and chilly Monday! Count me in the for the crunchy goodness! I’ll throw my hat into the ring. Woohoo! One of the other players in my regular game has this book and we’ve all found it VERY useful! It’s a great book, and a great giveaway! I’m in! Count me in on the contest. That is a great coupon code too! I’d like to enter as well. Also looking forward to newbieDM’s posts. I have been meaning to go into Gator Games as well – I’m from that area (well, south bay) so I’m there when I visit family every month or so – just haven’t actually done it yet, hehe. I’ve heard good things about this book, I’d love to have a copy of my own. This perked up my morning. 🙂 I’d enjoy this. I recently introduced some friends & co-workers to 4th ed, and this would be VERY handy for us to have. Count me in! I would love to get my hands on this! Thanks for the giveaways and GREAT advice! Ooh count me in : ) I love the new sc format! Ahhh Rules Compendium, let us hope that you don’t get wiped with errata 🙂 ! Count me in. We’re starting up a 4e game soon. Would be nice to have that. 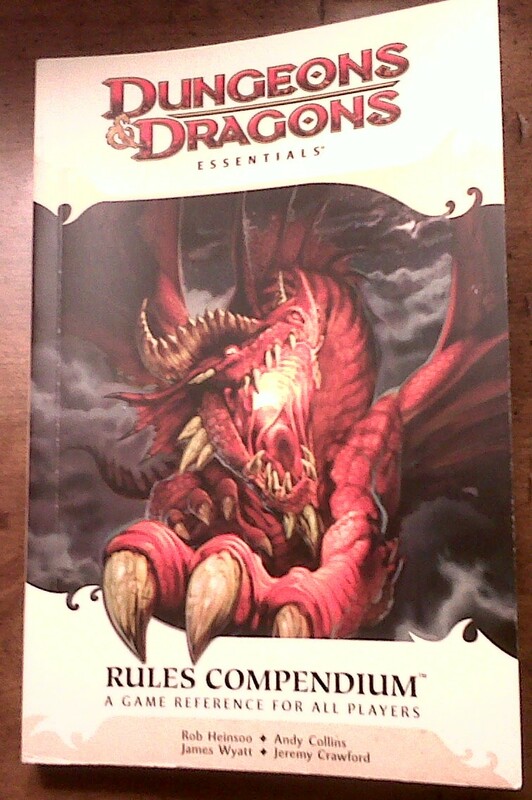 Could always use a second copy, but plan on donating this to the RPGA DMs in my area to use during their games. I’ll enter. Maybe a free book will finally get me to start a game. Been looking to get a copy of this, we need more at the table. Id be glad to be counted in. W00T! I have been eye-ing a copy at my FLGS waiting for payday, maybe i won’t need to buy it and can get that copy of Heroes of the Fallen Lands. I’m about to kick off a new game with three players that are new to D&D. An extra copy of the RC would be more than helpful. Gator Games has cool inventory. Anyone that has Talislanta, Traveller, and Blood Bowl is cool by me. Rah! Please add me to the list of contest entrants. And thanks to you and Gator Games for all of the contests. Hey I’ll try for this one too. Thanks for the great site, and contests! Enter me as well, please. I’ve been playing 4e once a month, and I think this would be rather useful. I’d love to win a copy, thanks to Newbie and Gator Games! I’ve been holding off on getting this (bought the red box instead), I wouldn’t mind having a central location to reference. Thanks for doing these contests. I’d like to enter as well. As a player that is jumping back into D&D after 15 years this would be super handy to have. This would be perfect to give to my nephew! Wouldn’t mind scoring a copy myself! Here’s to getting a second copy to try and win my 2nd edition group over to 4th! Would love to win my first copy. Thanks. This would give me a good excuse to try Essentials, count me in. Please enter me. Thank you kindly. I can has Rulez Compeedium? I’ve love to have a copy of the 4th edition rules compendium! I loved the 3rd edition one but have yet to pick one up for 4th edition! If commenting is indeed how you enter then I would like to throw my hat into the ring as well! I would love to have this. I would love it more if Wizards offered it as an Ebook. But hey…. Canadian, entering. I will admit I already have one Rules Compendium (which was absolutely worth the investment!) And I agree, it’s the sort of thing that one could stand to have multiple copies of at the gaming table! You can count me in. I love newbie DM’s! Excellent … count me in! Who doesn’t want a rules compendium? I know I do! Count me in as well…I would love a copy! A free 2nd copy…hmm. I’m in. I would love a copy… and Gator Games is a great store. Use to go there when I lived in the bay area. Wow, that’s a lot of posts above mine. Its great that you can have these contests – I would be very interested. Thanks. Who couldn’t use an RC? Thanks Newbie and Gator Games! Hook me up with my first essentials book!! I’m in as well! Thanks! I would not mind winning a copy for my players. Who doesn’t like free D&D stuff? Yes I would like one. I think this is the most popular contest/giveaway to date. Awesome. Now why would I want th-OF COURSE I WANT IN ON THIS! I like what the essentials line is doing thus far. Count me in! 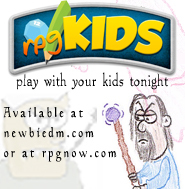 I’d love to have another copy for my nephews in our upcoming 4E game. I’m in. Thanks for all these giveaways Gator Games. I’d sure like in on the contest too. Thanks for including those of us north of the border. It’s essential that aI win this contest! Very cool. Thank you for this and I’m already checking out Gator Games. Sho Nuff. I’m all over this. This seems pretty darn useful. I’m in. I’ll take that. A couple of my players could benefit from this reference. I’m interested in winning the Essentials rules compendium. Throw my name into the pot. And thank you Gator Games! Here goes nothin! Love both you guys! Please Please Please Please Please- our rules lawyer needs this book. Thanks to Gator for their support! I am very interested in seeing how this book reads compared to the other 4th ed non-essentials books. I would like to enter this contest too. Thank you and thank you Gator Games. Well, I stand to be counted as one who would like an extra copy for the table. I spiral bound mine and it works great.